Three children from Year 5 demonstrated that 'practise makes perfect' on Friday 17th March. Last year we put the all weather table tennis tables on the KS2 playground. Oliver Charlton, Nathan Bergandy and Josh Mandeville are never far away from them. 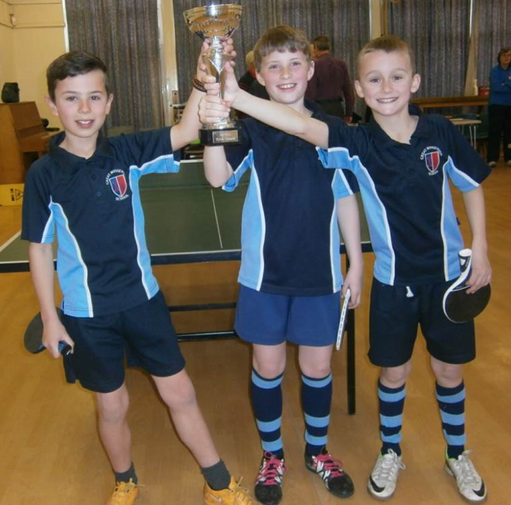 They went to Little Kingshill to play in a table tennis tournament and brought home the trophy! They won almost every game and were extremely humble in victory. Well done boys.